Today starts Teacher Appreciation Week. I kind of love Teachers. So I in turn kind of love Teacher Appreciation Week. In fact, this year for that whole PTO thing, I am in charge of Teacher Appreciation at our school. Hence the drastic and crazy lack of posts. Tack on Teacher Appreciation Week to returning from a week long visit to my grandma's and blogging has taken a back seat...a really, really back seat. 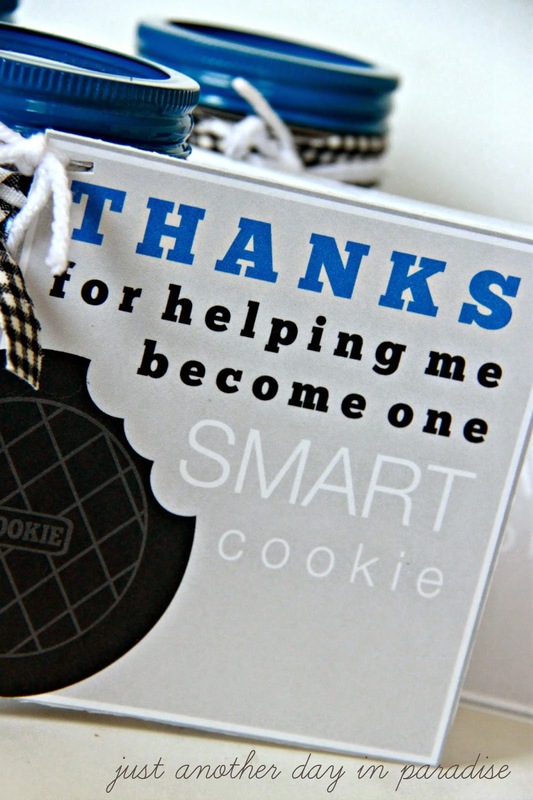 But today I am back, and I am back with this fun Teacher Appreciation printable. Just in time for Teacher Appreciation Week. I used two of my favorite things to make this teacher gift. My first favorite thing, mason jars. Guys I LOVE mason jars. Like a lot, a lot. I used a cobalt blue spray paint to make the lid and rings really pop. P.S. I also really love blue, but that isn't one of the favorite things I am talking about. My other favorite thing...PicMonkey. 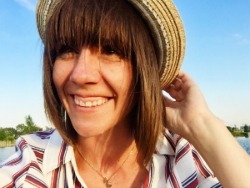 I talk a lot about using PicMonkey, a photo editing site. One day I need to do a whole post about how to utilize all the great tools PicMonkey has to offer. The site is magical. I use PicMonkey to create tags, posters, invitations, photo projects, hand outs, fliers ... not to mention also editing my photos. 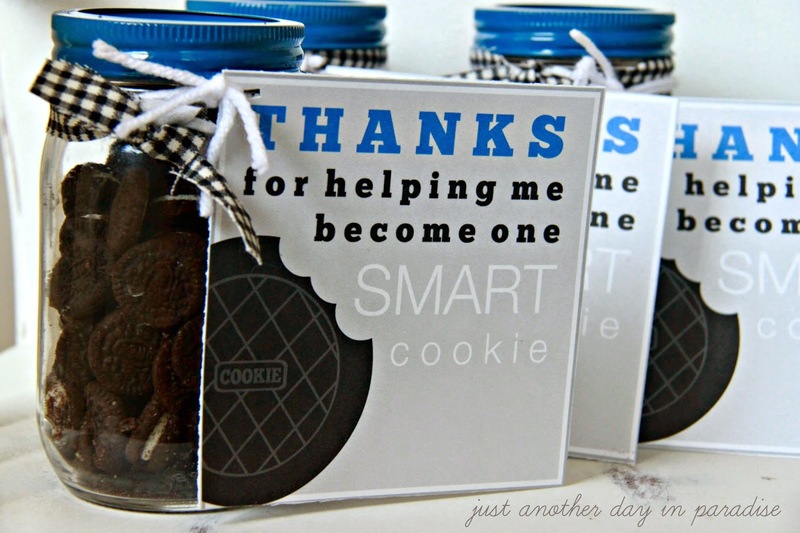 These Smart Cookie Teacher Appreciation Tags were made completely in PicMonkey, including that little faux Oreo. 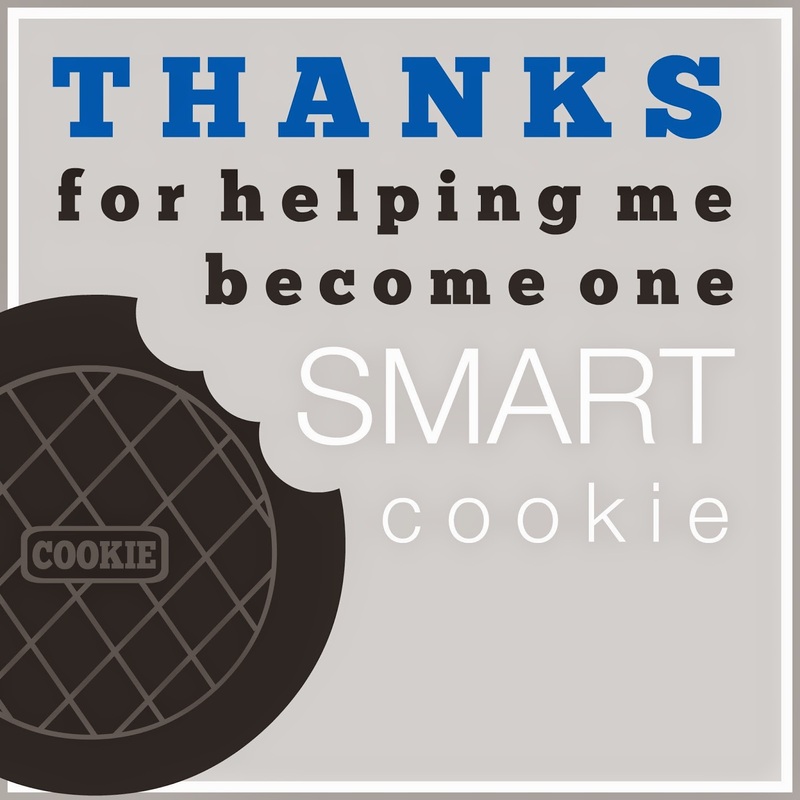 Download the Smart Cookie Tag Printable HERE. These tags are a little smaller than the ones I used in my photos. If you want to use a larger tag, you can right click on the image below and save the JPEG. You can make the JPEG the size you want in a Word type document. Print off. Cut out. Then attach it to Oreo cookies anyway you like. 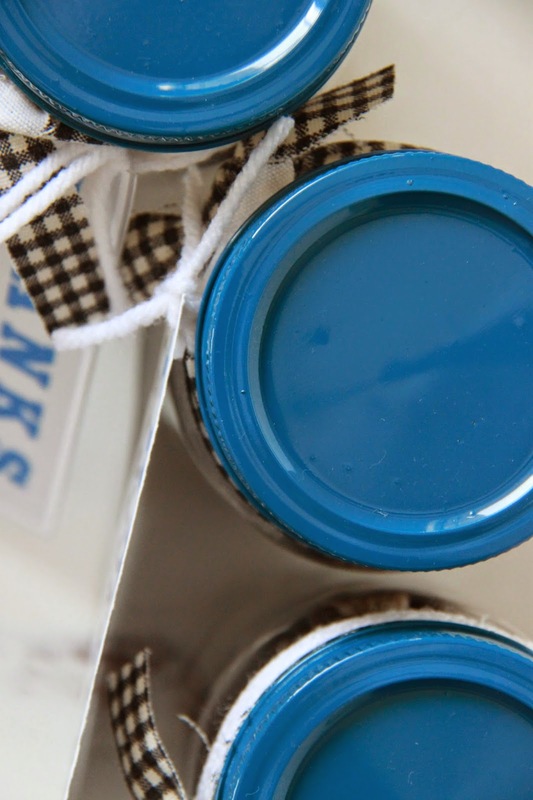 You can attach the tag to a jar of Oreos, a bag of Oreos, a package of Oreos (big or snack sized). Tie a ribbon around it or tape it on. 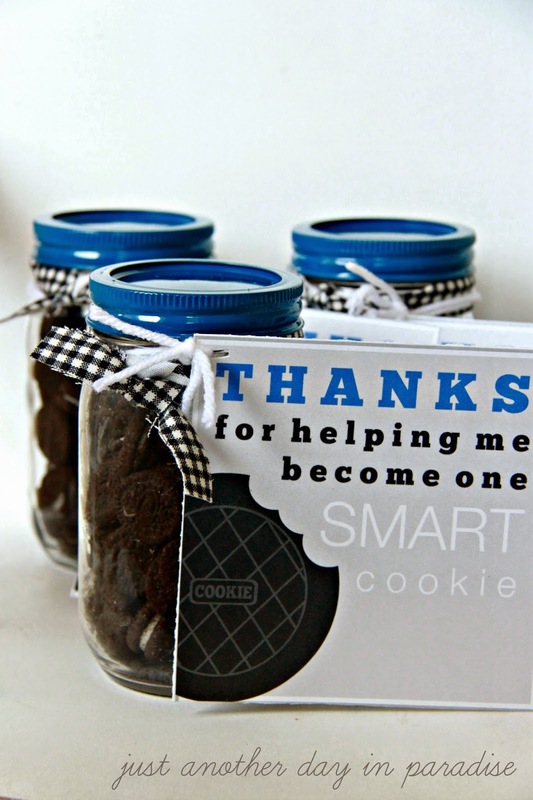 Any way you give it out, this is an easy, quick, and fun way to thank a teacher this week for Teacher Appreciation Week.